Since 1944, the Smokey Bear Wildfire Prevention campaign has helped millions of Americans realize their role in preventing wildfires. Today, Smokey’s image is recognized by 8 out of 10 Americans, but his work to prevent wildfires is far from over. 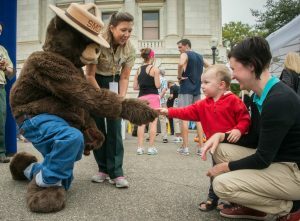 Learn about Smokey’s story, his campaign, and how you can help prevent wildfires. Community forests provide essential benefits we can’t live without. 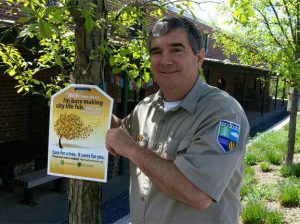 The My Tree—Our Forest campaign is a National Association of State Foresters’ initiative aimed at educating the public about the benefits of community trees and how to plant and care for them. Learn how you can care for the tree that cares for you. 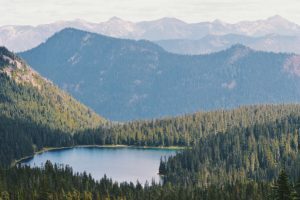 In 2020, the NASF Centennial Challenge will celebrate 100 years of national forestry leadership and honor the tremendous social, environmental, and economic contributions state forestry agencies have made nationwide. Start planning your state’s Centennial Challenge with these resources.